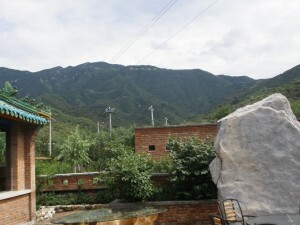 Arrive at Beijing International Airport in the afternoon, and drive directly to Mutianyu village. 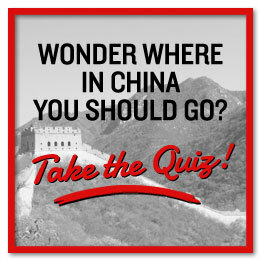 Here you have great access to a well preserved and renovated part of The Great Wall. Get tickets for the Wall when most tourists are heading home, climb the stairs and get to the highest point just in time to watch the sun set over the mountains and watchtowers. Walk down to the village and the Schoolhouse for a tasty dinner made by locally sourced ingredients. If you are a bigger group, you can rent one of the wonderful village houses renovated by Jim and Liang Tang, where you get bedrooms with view to the Wall, big fireplaces and bathtubs under chandeliers. Or you can check into the Brickyard in the nearby village, run by the same couple. Get up with the village roosters and after a hearty breakfast drive to the city. Prepare yourself for a day on your feet. Start by visiting Beijing Urban Planning Exhibition Center. Most of the exhibition can be skipped, but the enormous air photo covering the whole floor, with Beijing’s inner city built with small model houses, is very cool. A great introduction to the city, and put things in perspective. There are also two short movies, one showing Beijing’s history, the other, showing Beijing’s future, in 3D. 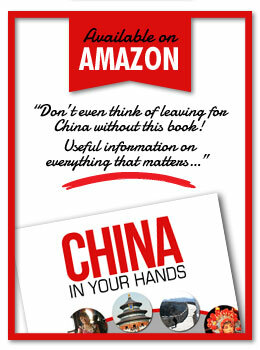 Walk from there to Tiananmen Square, the world’s biggest urban square. Mao’s mausoleum takes up lot of the space, but the square is still pretty impressive. Around lie Great Hall of the People, National History Museum, and the old city gates. North of the square you see Tiananmen, The Gate of Heavenly Peace. 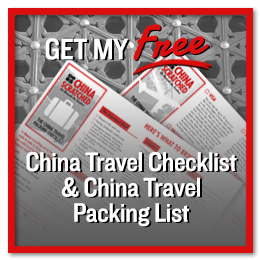 It’s the one with the picture of Chairman Mao, and under his sturdy gaze you walk towards The Forbidden City, also called the Palace Museum. Enter through the south gate, exit through the north. This route allows you to see both the official part, with it’s halls and thrones, and also the private parts, where the emperors lived with their wives and concubines. If you are not already starving and the smog not too thick, cross the street and enter Jinshan Park. Here you can get a great view of the Forbidden city roof tops from the hill, made by the debris left after making the palace’s moats. 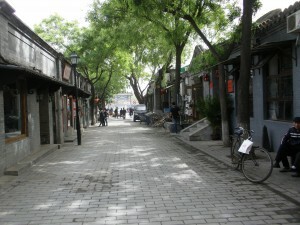 Walk or take a taxi to Nanluoguxiang, a semi pedestrian street in the old neighborhoods, the hutongs. Here are a range of cheap cafes and restaurants, you’ll definitively find something good for lunch. Spend the afternoon looking through the tiny shops, wander down small alleys and climb the old Drum and Bell Towers if you still have any energy left. Stay the night in the Sanlitun area, for example Opposite House. For dinner you can walk down the alley to Middle 8, for some great Yunnan fusion food. Or go to Dadong for Beijing duck. Later there are a plenty of cool bars to check out. Join a free zumba class! 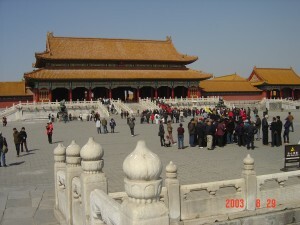 A late night should not stop you from getting up early, because Temple of Heaven is most fun in the mornings. 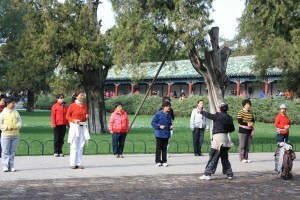 Join the locals in their morning exercise, chances are those old folks are a lot more fit than you! Take in the beautiful temple buildings and the people enjoying the park and each other’s company. You can’t visit Beijing without a stop at one of the infamous markets. Hongqiao pearl market is near by, and here you find everything; cheap electronics, clothes, scarves, toys, bags, shoes, pearls and more pearls. Bargain hard, check the quality and have fun. Before you head out to the airport, you need some food, and no better place to fill you up Beijing style than Old Beijing Noodle King. Order their famous noodles and other tasty specialities to enjoy while the waiters and other guests make sure you’ll not have a quiet meal. By now you are either exhausted and more than ready to leave this crazy place, or you wish you had applied for a visa so that you could have stayed another week!